I recently participated in the launch of a new young adult book. 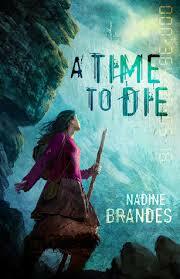 A Time to Die by Nadine Brandes which released in September. It’s a fun new Christian Dystopian with the idea that society found a way to discover the exact moment each person will die. As a result, those who adhere to this society must keep their clock with them at all times and those without a clock are rebels — somewhere in between not having a social security card and not taking the mark of the beast. The idea of knowing when you will die, of course raises all kinds of speculations. I think of myself as pretty adventurous — when I was 19 I got on an airplane and traveled to eastern Europe to chase a boy. But now that I’m older, I don’t even like the kind of change that comes with getting new phone. My daughter tells me “The point of life is not to arrive safely at death, mom.” But sometimes I can’t stop making that my goal. Sometimes anticipation of the unknown is the worst. I know our death-date is appointed, and I also know it’s easy to ignore the “ticking clock,” while we spend time choosing a nail color but the good news is the ultimate unknown is not unknown, if you follow Christ. When that’s your world-filter: you know without doubt where you’ll spend eternity…how you spend your life obviously needs to matter more. I was uncomfortable recently in an unfamiliar area and my husband said, “I never want to be the kind of Christian that can’t go anywhere.” He reminded me that someday we will take a trip to India. Yeah, there’s that. Someday I want to go to India. 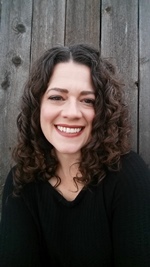 So, comment in the blog what you want to do before you die or what you wish you had the courage to do before you die…I’ll chose a winner and gift a kindle copy of Nadine Brandes’ new book A Time to Die. What do you need to do before you die? At this point, I think I need to finish the Out of Time series. God’s pushed and shoved me into writing it (I didn’t put up too much of a fight) but I know He wants to use it. Because it’s a task assigned from Him, I feel like I’d need to commit to finishing it. You still have an opportunity to win a signed paperback copy. Click the picture to go to Nadine’s blog. What is one thing you wish you had the courage to do before you die? That’s a tough one. I’m a very adventurous person so I tend to try to do anything that suits my fancy. But, getting down to the nitty gritty, I’d want to share my life story. There are many trials that I’ve still found myself wishing I had the courage to share. God gave me my personal story for a reason and I think it would reach out to a lot of women, but…it’s sure hard admitting you’ve made mistakes. ← Some are waiting at Heaven’s Gate — Run! What an interesting premise, I’ve thought about my numbered days before and confess to being intrigued with the idea of getting a do-over as well! My life would be very diffetent in many aspects. Not because I’m unhappy or dissatisfied, I just have bigger dreams and goals now than I did when I was young and bought into what everyone else told me would make me successful. I would definitely cut my ties to this house and this city and travel. Going back to Iceland would be the first stop on a very long list. People and places would be the most dominate themes in my last year on this planet. Thanks for the opportunity to read a new author and an intriguing book! I love that for advice to young adults, Nickalli — have bigger dreams that what everyone tells you will make you successful. Congratulations Nickalli. Check your email for the kindle edition of A Time to Die. I would travel more, and I am working on being less reticent about stepping in when people need help.